Any element can damage by rubbing, vibrations, damage or movement, and must correspond to the wear by use: Tires, discs and pads, oil filters, spark plugs -in gasoline engines, brakes, clutch, dampers and straps. Others must endure, except failure, as injectors, pump water or gasoline, turbo or electronic control unit. Between the expensive, but long-term: the catalyst and the particle filter Diesel, they are moving in a 1,000 euros. Contrary to what many believe, it is not necessary to go to the official service of the brand to the review, although each manufacturer provides its network tooling and the most appropriate training. In any case, we can save good money up to 30 percent, according to Audatex- going to multibrand centers. And it can be done even within the official guarantee, provided that the details contained in the vehicle service manual are respected. Eye, warranty extensions Yes often they force out the car manufacturer's network. Not to forget the review, exist APPS reminiscent of kilometers, date and so far to go to ITV. Remember that You have the right to request the workshop, a budget or a stop for the same, the replaced parts and explanations you liking from operations. The warranty for work performed is three months or 2,000 km, although some centers lifetime guarantee possible failures motivated by labor. 9 How much can it cost? The engine life depends largely on the quality grease. 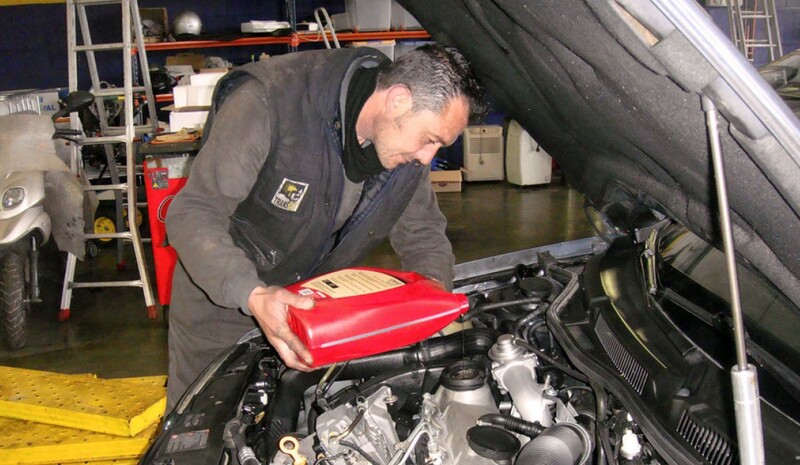 Each review must replace oil -and including checking the level, if possible every 15 days, checking that it is between the marks on the dipstick- and filter. Not just add, it degrades and loses properties. About him brake fluid, 80.000 km They are reasonable to change it. Each 30,000 km, Do the same with the air filters, gas Y pollen. Another thing: coolant it's cheap and if there is almost "eternal" leaks, as The power steering. By flying in front position, lighting accuses the passage of time. Usually it airtight, which preserves inside the lens. To avoid losing their effectiveness, exterior polishing headlamp in specialized centers is reasonable and affordable: a 20 euros each. There are more powerful bulbs -eye, collates its compatibility with our model, and there are cases where it is not easy or replace the original, so many end up taking the car workshop- and even Xenon kits requiring self-leveling and headlight washers add to be legal. He braking system is essential: Better not to rush him, but any car carries a witness in the box that warns of the urgency replace pills. Use more than necessary degraded and warps discs, and spent irregularly. This would force prematurely relieve -usually last long, even more than 100,000 km- with pills. It's recommended check its status every 20,000 km, but there is no universal scale: depends on car use, for driving on city-or face decreases with the foot pedal pressed instead of using motor- brake will cause it to 'go' before making road. Gums are exposed to wear and tear, eventually harden, lose grip and drainage capacity. his maintenance influences its duration: Slightly swollen up spending, they are dangerous to braking and last less. To the review them, as little once a month, check that lack bruises, cuts or bruises, the wear evenly Remember, the drawing can not lose and that 1.6 mm- tires exhibit no damage. The first to change tires are usually the front -in most cases, support engine, steering and wheel-drive. To speed, they can be exchange by the rear if they are in good use. Remember that you are the Car only contact with the firm, with a similar to a credit card for each surface. Alternatively, there retreaded, although we prefer the original. A game, depending on the model, comes to cost Average 500 euros. The clutch life It depends above all use, but of course It is not eternal. Of course, there are taxi drivers who, despite engaging and disengaging thousands of times after day, they manage to rush him over 500,000 km, and who uses the car anyway-let alone if not comparte- and passes 30,000 km ... To find out if skidding on standing gets second and release the pedal strokeIf the car is not cove it is that the piece is very worn. The Buffers are essential to ensure ride comfort and to maintain stability when cornering, braking, especially straitened and load are advised -... change 60,000 km, if possible four at a time by prices around 500 euros average per game. Yield before the front, almost always support the engine and provided the bulk of braking by mass transfer. With years and kilometers eye to the docks and the other elements of the package: it is easy to adapt driving impairment... until it reaches a critical time. In a The free workshop checked at a time to see how much left. Not all vehicles have timing belt, because in many it is replaced by a permanent chain that as much, it requires tensioned every several thousand kilometers. In the engines that do use their duration is variable. In fact, there are brands that do not prescribe change it to 200,000 km. In any case, and veteran cars should not exceed 90,000 km. The piece itself is not expensive, but requires intensive labor which increases the service. Do not forget to ask, to replace it, do the same with other straps service, such as the alternator. On average, about values 500 euros by this maintenance. The battery usually contain a based electrolyte sulfuric acid -in the most modern dissolved gel- is a must cover the internal plates. If you have to disconnect, first remove the negative terminal and connect plug before the positive. The Modern lack of maintenance to be made so that no leakage consent. A 'Magic Eye' displays its contents is correct: Shows a green if well, black and white when required load and / or yellow at the end of its life. In addition, terminals should be clean and never bulging or cracked housing. A good battery usually it lasts about five years. According to the comparator Tallerator.es workshops and services shows that the average price of 10,000 km maintenance is 148.87 euros, with economic examples such as the Citroen C4, which represents 124 euros. There are curiosities like the Renault Clio and Seat Ibiza, in private workshops require 90 euros on its way through 100,000 km; a Ford Focus would cost 170 euros. As an idea, the cost of an oil change and filter for said Ford, 10,000 or 15,000 km, comes to about 131 euros, which are 82 in the C4 and 64 euros for the tandem Ibiza / Clio. Replace the brake fluid can go for 59 euros on average, but some (Focus and Ibiza) would not 50. Another idea: front discs and pads behave 269.82 euros average 260 euros -Citroën C4 and Seat Ibiza exchange 294 euros, while a clutch kit is set to 653.11 euros in 370 C4 does not rise in the Focus out 516 euros, 520 euros for the Ibiza and 466 euros in the Clio. How much change tires in Spain? How much change the oil and filter? Jaki jest najlepszy kompaktowy premia?